To ensure a better game experience, we are performing an update from August 1st 2:00 to August 1st 5:00 EST. During this time you will not be able to log in. The duration time is an estimate and may be extended due to technical issues. We really appreciate your patience and understanding. 1. New Feature "Dispatch Quests" is coming! After the update on August 1st, a new feature "Dispatch Quests" will become available! Onmyoji can assign multiple Shikigami to complete a dispatch quest. Dispatch quests have different ranks. The higher the rank, the better the reward. The result of the Dispatch differs according to the Shikigami sent out. The better the results, the better the reward. - Completing a dispatch quest requires AP and time. The higher the player's level, the more quests you can take on simultaneously and higher the rank of the quests. - Hints will be provided when tackling a quest. Players sending out the correct Shikigami will have a better chance of achieving a better result. Also, Evolved Shikigami and high-level Shikigami also increases the chance of achieving a better result. - Shikigami sent on a dispatch quest cannot be released or participate in other dispatch quests until they return, but can be used in battle as normal. It is also possible to force your Shikigami to return, in this case, the dispatch will be deemed a failure and used AP will not be recovered. 2. The New Event "Fortune Temple" is Released! During the event, players can use coins, jades, medals, etc. in exchange for items in Fortune Temple. Each item can only be purchased once per day and the quota resets on 0:00 EST. The type of items available will refresh every 3 days. Remember to check out Fortune Temple for bargains! 3. New Secret Zone "Shishio's Wake" Added! 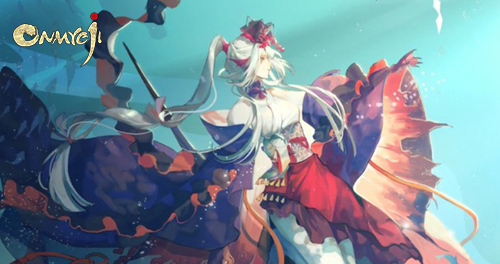 After the update on August 1st, a new Secret Zone "Shishio's Wake" is coming to Onmyoji! Shishio has Inherited the mystic powers of the forest, can you stand against his powerful howl? 4. The New Side Chapter "Tales of Aoandon" is Arrived! After the update on August 1st, side chapter "Tales of Aoandon" will be available. 5. New Skin on Sale! Onmyoji's Yukata Gala Skins Coming! These 4 Onmyoji' gala skins (Seimei's "Lunar Corona", Kagura's "Pink Goldfish", Hiromasa's “Bamboo Archer”, Yao Bikuni's "Summer Breeze") will be available in the skin store after the update on Aug. 1st! It's 20% off for the first week! 6. New Packs on Sale! Note: Weekend Packs are updated on every weekend. 2. Modified the start time of Demon Encounter as 10:00 EST. No changes have been made to the feathers she shoots or the mechanics related to the Poison her skills inflict. Swiftly shoots a batch of feathers at all enemies, inflicting 2 layers of Poisonous Feathers on them. The enemy takes indirect damage equal to 1%/3%/6%/10%/15% (based on the layers of Poisonous Feathers it has) of its max HP at the beginning of its turn, to a maximum of 280% of Chin's ATK. Poisonous Feathers stack up to 5 layers and are reduced by 1 layer when the target takes poison damage. Lv. 2: Increases indirect damage from Poisonous Feathers by 50%. Lv. 4: Increases indirect damage from Poisonous Feathers by 50%. Lv. 5 Any enemy with 5 layers of Poisonous Feathers takes damage equal to 30% of its max HP immediately when inflicted with Poisonous Feathers, to a maximum of 280% of Chin's ATK. No changes have been made to the effect after her evolution: Inflicts 1 layer of Poisonous Feathers on the attacker when Chin is attacked. Chin releases the toxins in her feathers to wreak vengeance on 1 enemy, dealing damage equal to 175% of her ATK and igniting all of Chin's feathers on the enemy, dealing an extra indirect damage equal to 35% x Poisonous Feathers layer count. Lv. 2: All damage from the skill increases by 5%. Lv. 3: All damage from the skill increases by 5%. Lv. 4: All damage from the skill increases by 5%. Lv. 5: All damage from the skill increases by 5%. Also, Chin's skill using AI has been optimized in auto mode. After a period of observation and collection of statistics, we found that Chin's ability to deal a lot of damage has declined to some extent since indirect damage was adjusted. The main reason behind this is that the poison damage from Chin's feathers was decreased after the update, while her Poison Erosion, which players used less often, is still not being used effectively. We hope to make Chin a mid-ranged damage-dealing shikigami whose expertise lies in dealing indirect damage. First, we increased her feathers' ability to deal high damage in this adjustment, adding an effect that allows her to ignore Defense. In addition, we removed the ability to deal direct damage from Poisonous Beauty, making the skill focus mainly on inflicting feathers and Poison debuffs. In this way, we improved Chin's ability to deal large amounts of damage. We also changed the damage type of part of the explosive damage dealt by Poison Erosion into indirect damage. This allows players to make consistent decisions when configuring her stats and choosing Souls for her. Again, we tried to make a single-target damage-dealing shikigami with the ability to deal explosive indirect damage. Now that we have changed the level up effects of her Poison Erosion from increasing the direct skill damage by 5% to increasing all damage (including indirect damage) from the skill by 5% (though we decreased the rate of damage from Poison Erosion by a fairly small percentage), Chin now has another build that allows her to deal damage mainly by using her Poison Erosion. After an enemy takes an action, Medicine Seller has a 40% (50% after his evolution) chance of observing the identity of the target and inflicting a Scale mark on them. The target can be inflicted with up to 3 Scale Marks and cannot be dispelled. When Medicine Seller attacks a target with a Scale mark, each Scale mark increases his damage by 33%. Target with 1/2/3 Scale marks will be revealed by Medicine Seller when their HP drops below 30%/40%/60%. Revealed state lasts 2 turns. Multiple Medicine Sellers do not cause the effect to stack. In addition, Scale marks can now be inflicted onto Ushi no Toki's straw doll. Medicine Seller releases his sword and transforms into his inner self to attack a target, dealing damage equal to 263% of his ATK. Inflicts a Scale mark on the target if it's not KO'd by the attack. For a revealed target, damage (to a maximum of 600% of Medicine Seller's ATK) equal to their remaining HP is inflicted instead. The damage cannot be shared, transferred, or absorbed and ignores the target's soul effects and passive skills. The chance of Defense inflicting a Scale mark on the enemy has been increased from 75% to 100%. With this improvement, we hope to allow Medicine Seller to be more active when selecting his target while making the skill more stable. The damage from Defense has been increased from 500% of Medicine Seller's Attack to 600% of his Attack. With this improvement, we hope to give him more stability when he tries to KO a revealed target. We increased the damage inflicted on the target by Medicine Seller with Scale mark, hoping to allow him to deal a significant amount of damage even without the help of other powerful damage-dealing shikigami. The Critical Hit Rate and Critical Damage should also have an important impact on the battlefield in certain cases. Please note when using Defense to attack a revealed target that the damage dealt will not exceed 600% of Medicine Seller's Attack. Effect removed from Black Flame: Has a 30% chance of increasing the damage the enemy takes by 20% for 2 turns. Effect added to Rage Outlet: When Ibaraki Doji's attack fails to KO an enemy, he gains a layer of Enraged Arm, increasing his damage by 33%. Enraged Arm stacks up to 3 layers. 4). Kamaitachi's United and Aoandon's Lantern Support can now be triggered even when they're under some controlling effects, like Freeze, Sleep, etc. 5). When the soul set effect is triggered for a Kamaitachi equipped with a Scarlet soul set, the passive skill United will not trigger again. Also, when Scarlet's counter-attack is triggered on a monster who has the soul set effect of Scarlet and Soultaker, its Soultaker will not trigger.